Imagine not knowing where your next meal was coming from, or whether you’d have enough warm clothes for another cool night sleeping rough. It’s a very real problem for the homeless of Sydney, but thankfully your support means we can help. 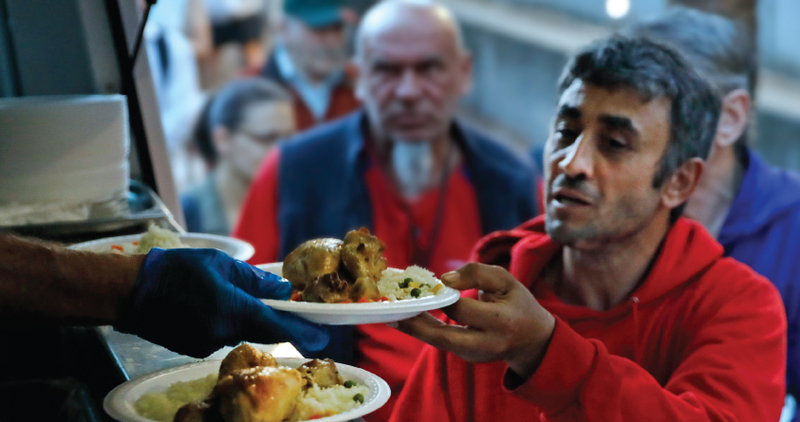 Every night our brand new food van arrives at Yurong Street – just behind The Domain – to give nutritious, warm meals to 300 homeless people who call the city home. Our meals are a God-send and are always gratefully received. We also distribute clothes and blankets too, because staying warm when you live on the streets is a challenge, especially when it rains and things get wet. It’s all about showing we care. This Easter we urge you to support our food van service by donating.